Diamond Select Toy’s Dual Pack of “Forbidden Planet” mini-mates features Robby The Robot and a C-57D Crew Member. Diamond Select Toys gives Classic Science Fiction fans something small to celebrate about in a big way. Recently hitting store shelves and online retailers are the company’s first Forbidden Planet Minimates. 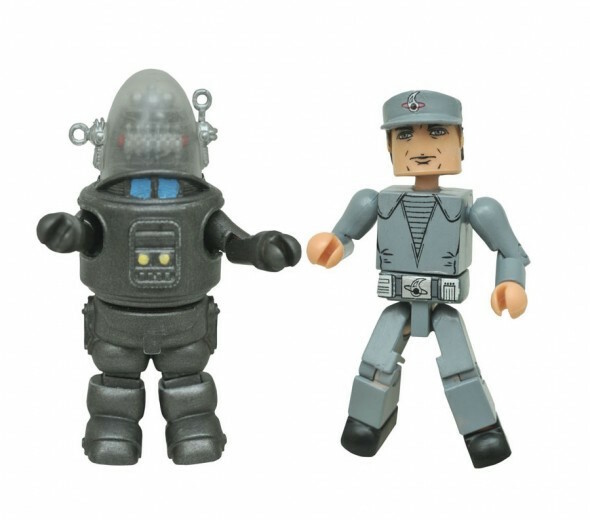 The 2-pack features the iconic Robby The Robot and a crew member of the spaceship C-57D. Each is nicely detailed and articulated for your posing pleasure.